Has anyone done something similar to what the people with newer gen 4runners are doing with the high clearance bumper mod? 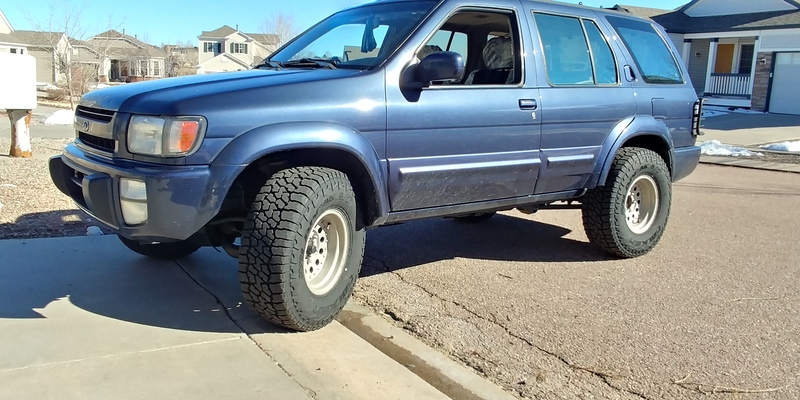 Subject, my 98 QX4 with 32s and 2" spacers. 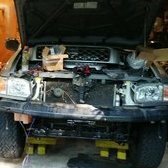 I have heat-gunned the bottom edges of my QX4s bumper to make it drivable. It's not rub-free, so I plan on taking only 1 more stab at bumper mod before I resort to waiting an eternity to build a tube bumper. However, keeping in the spirit of my ride, I didnt but it cheap for it to be expensive and nice! I bought it cheap so I could do things i would never do to my other cars... Like take a saw to the bodywork. Different kind of fun, right? 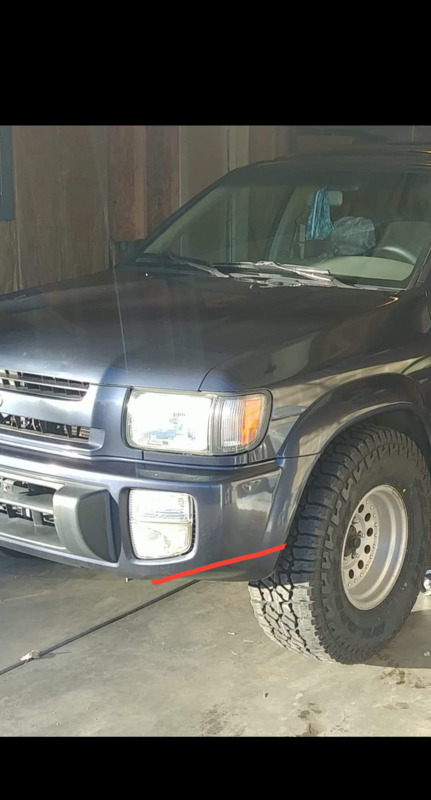 My thought is same in principle to the 4runner; cut the bumper at an angle following a bumper contour, re-anchor the liner, add edge trim to cover the cut edge. Thats a really good thought. My local JY gets us for 40 bucks for the bumper cover though, which may just be more than im willing to spend for testing purposes. I will make liberal use of painters tape though to figure out the angles. If I am unsure, I will just start bottom-up on the bumper and keep cutting more off. 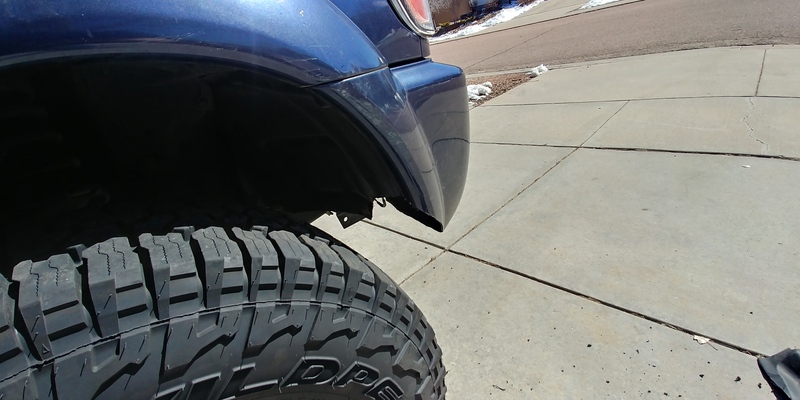 Zip ties might be your best friend for pulling the fender liner forward toward the new bumper line. I think you’ll find a few strategically placed black zip ties could be the easiest and most effective solution. So I manage an ‘18 4Runner as well & follow that world (the website you referenced is an excellent one). The full modification of the one referenced on the website involves replacing the cut angles with metal plates. 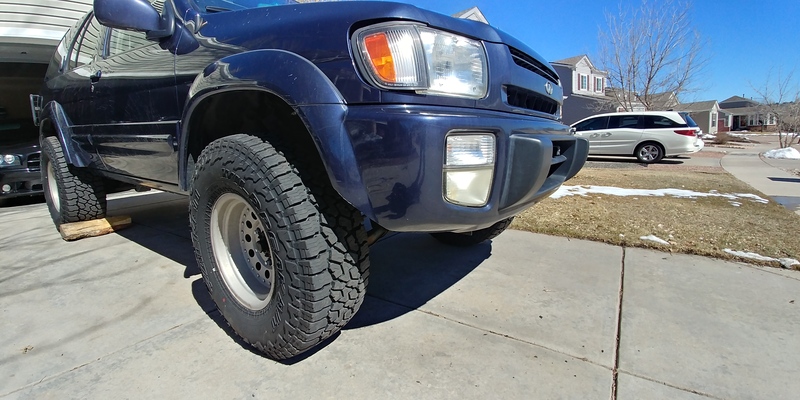 For the 4Runner, it’s an odd choice as the stock fronts on SR5s & Off-Roads have excellent clearance if tires are upgraded & it’s lifted the standard 3” on that truck. Impacted corners on it are RARE. So much so that most owners simply replace the lower chin of the center grill with a steel bumper that has winch, recovery & light bar mounts (as with almost all 5thGen T4R stuff, there are only half a dozen manufacturers of slim line bumpers - C4 is my favorite). If you’re in UT or CO & plan to wheel hard or Rock Crawl, most would go with a full on replacement (CBI is my favorite here though there are easily a dozen to choose from). For our trucks, I think most would simply go with full bumper replacement. 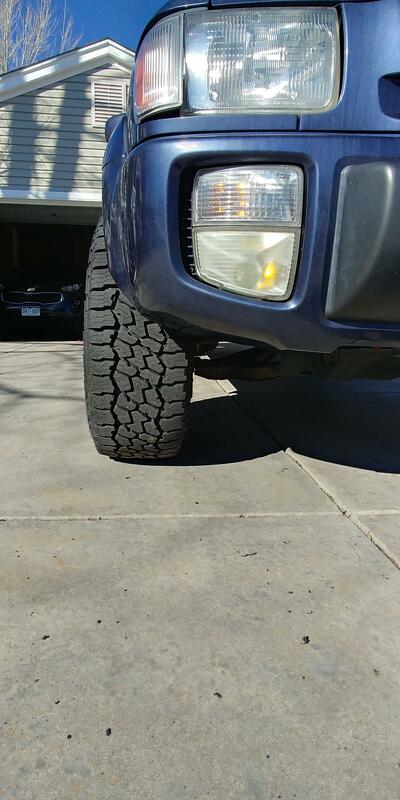 Coastal Offroad (https://www.coastaloffroad.com/product-page/r50...bumper-kit) currently offers a weld together set that looks nice & is specifically designed for approach angle. 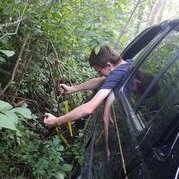 Brandon has ALOT of experience with 3rd Gen T4Rs specifically. His set is for the Pathfinder so I’m not sure it will fit properly on the QX4 as far as cosmetics. WAM also makes a bumper but I only know of one R50 that’s gotten it since the changeover from the prior company names that were plagued with manufacturing quality issues. I think Dustin Perrault is also making a bumper. If you go ahead, definitely document as I think you’ll be the first, especially for the QX4s. I don’t like the colors ones....but could something like these gray ones work to secure it and still allow you to remove it if necessary? That's my speed here with the cost! Not a bad option honestly if I wanted to keep the bumper intact. Any idea on where I would anchor those to in the bumper from the liner? The liner I'm cool putting holes in but I don't want to run those through the actual bumper. I saw that one the referenced kits had plates to fill that gap. 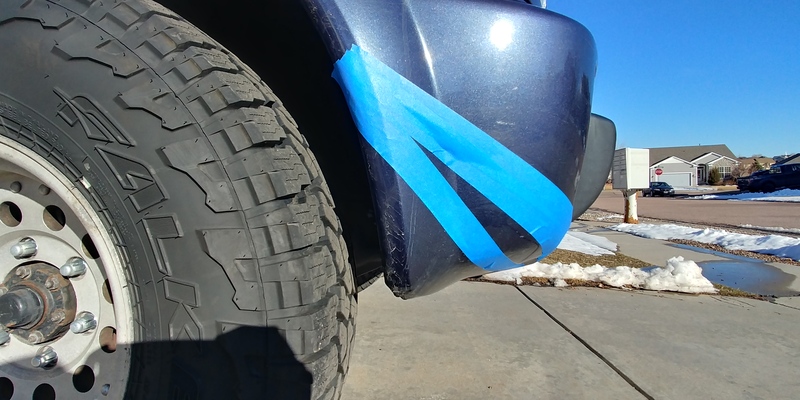 The other kit and the DIY version of the article said to either remove the liner itself or modify the liner to the new bumper. The one I saw on the road just cut the liner and left the inards exposed. I have looked at both wam and coastal bumpers. They both look like good options to me, although cost would get close to getting a bumper custom made (with a winch would be nice). That current cost would cut into necessary parts of "Phase 1" list. Still need manual hubs, a full size spare and tire, and roof rack to haul the tire. That's pretty much exactly what a bumper would cost me. I will for sure have to keep an eye on what hawairish and Towndawg are working on. I'm happy to be patient to see what they will be coming out with, as Phase 2 will include a swing gate, bumper, and more optimal suspension setup. Cheap is the name of the game for now. To be as capable as possible for as little money as I can get away with. Model: I Wish I had a Pathy! Here's some more inspiration. 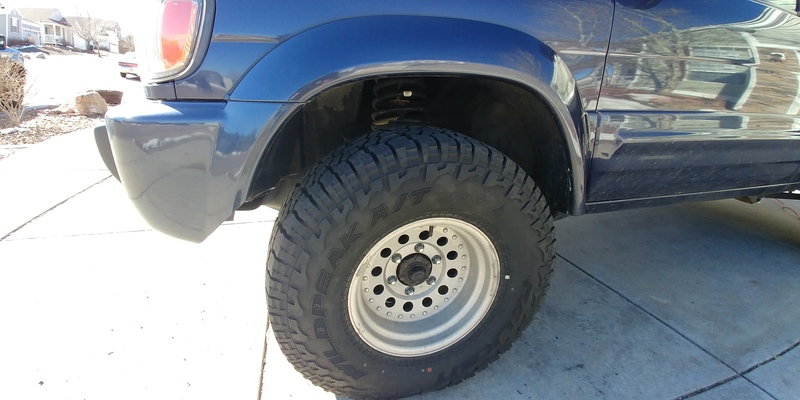 The cut in the 3rd reply seems the most possible to replicate on a QX4 bumper without totally trashing it IMO. Wow thanks for the link! Agreed, that looks awesome. Perfect inspiration, more outside the box. That's what I thought I remembered, you may have some to work with, don't really remember how much. If you were to relocate the turn signals into the headlights (in place of marker lights; I do seem to recall having seen it before) and ditch the fog lights, you could get a pretty high cut in there. Not sure how it would look though. At least where I need the clearance, the fog light isn't really an obstacle. Its more to the outside of the fog light where the fender flare wraps back towards the tire. 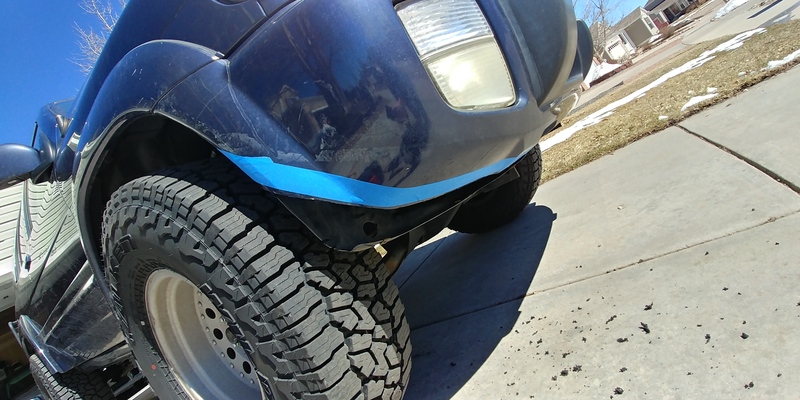 I could just hack the fender edge forward a little fwiw, but I kind like the idea of giving the bumper some additional style if im gonna do that! Ended up a little anticlimactic in the looks dept. Looks clean and I doubt will catch anyone's eye. 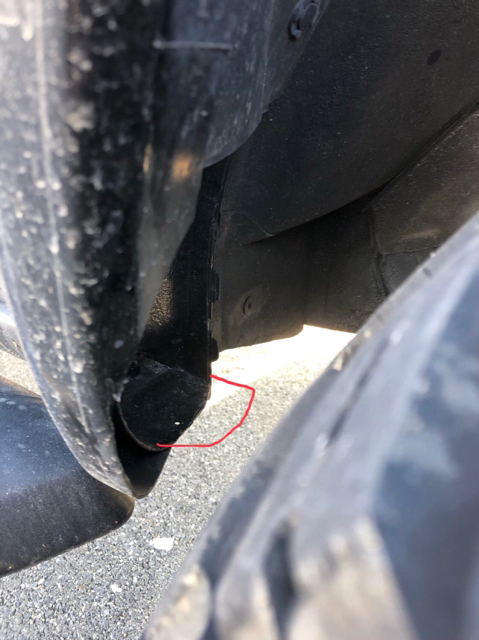 Not sure if pathfinders have the same issue, but there will always be the little rub on the rear bottom of the fender corner. 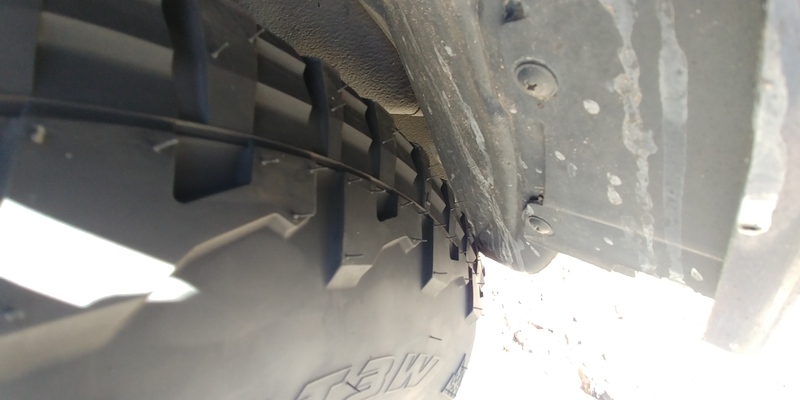 Is to me the real restriction of 32s on a pre-refresh QX4 with only 2 inches of lift. Clean work and subtle, but subtle is good! 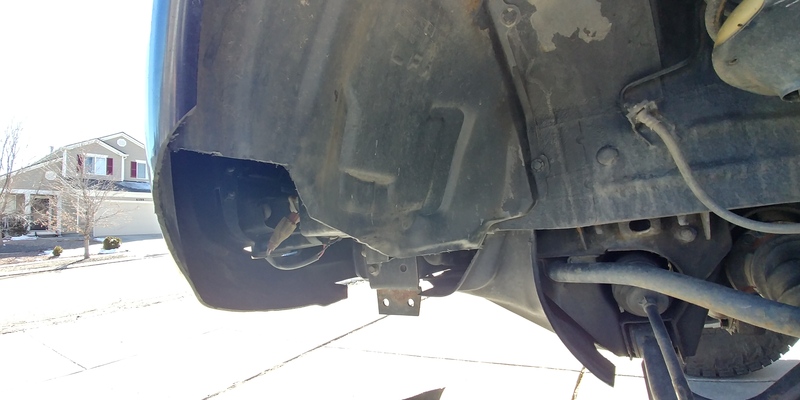 IIRC, there's a pinch weld behind the plastic liner in the rear of the well where you described your persistent rub. That can be remedied by pulling the liner out of the way, flattening the raised area, replace the liner, put some heat to the liner and massage it a bit. Looks really good! I like the subtle approach. That area behind the wheel is where I had to do the most trimming when fitting 33’s. The pinchweld sits further back and really isn’t an issue. It’s the actual lower edge of the fender that sticks out. 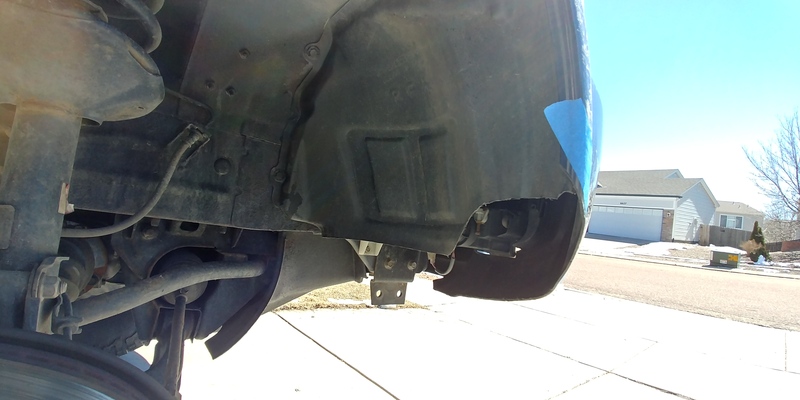 Pardon the crude drawing, but this pic gives an idea of what I had to remove from the lower fender. It’s barely even noticeable unless you’re sticking your head into the wheel well. I really like the subtle look, good job! I had to cut the same as @Bax03SE to fit 32's. You just cut out that whole piece there huh? 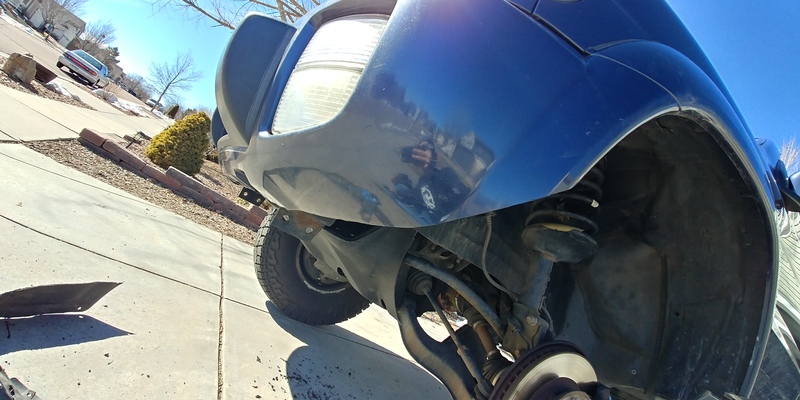 Yep, I trimmed the inside of the flair, the bottom of the plastic fender liner, and used an angle grinder to take off a couple inches of metal from the bottom front edge of the fender. If you’re just getting a little rub that you can live with, I agree it may not be worth worrying about. In my case, the combination of larger tires and high offset wheels meant there was no way in heck things would fit without cutting. 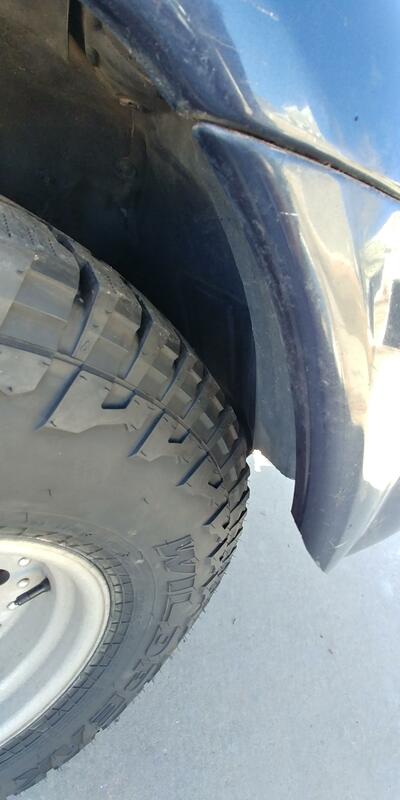 It wasn’t just rubbing, it was full on binding up against the fender when turning. Oh wow, yeah that may have been priority if that were the case. No just a little rub, im more concerned about the liner still. Now where it is, in reverse it could catch a tread and ham upward. So that's where im gonna stick it back with something.